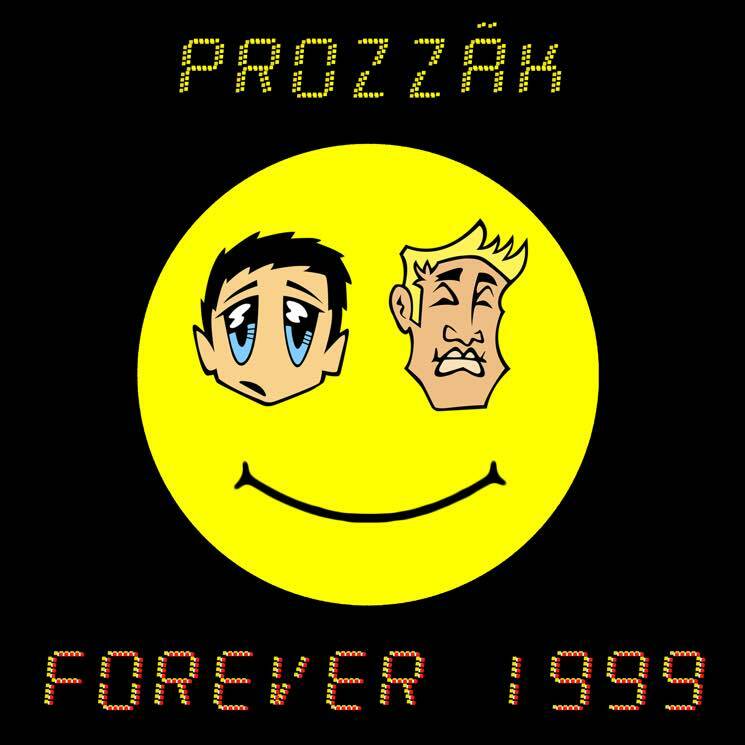 Beloved cartoon duo Simon and Milo are back as Prozzäk and ready to deliver their brand new album Forever 1999, but Exclaim! is giving you an exclusive listen to the full record right now. The album follows the app-inspired lead single "Love Me Tinder" and proves that the lovable pair haven't lost their knack for crafting catchy tunes about being unlucky in love. The aforementioned track is now joined by other equally infectious cuts like "All the Feels," "Hot" and the delightfully nostalgic title tune "Forever 1999." What were you doing in 1999? What were you wearing? What were you singing? Who were you loving? Where were you crying? How were you dancing? And look at those huge skater pants I was wearing. WOW. We're proud to give you this latest album crafted from memories from a time that we all loved, as well as the here and now. Enjoy! The band are sharing the new LP silent disco-style at a listening party in Toronto this evening (March 27), but for those who couldn't make it out to that, we've got you covered. Prozzäk are also hosting a Facebook Live Q&A at 8 p.m. EDT tonight, so be sure to give the new album a listen in the player down below and then head over here to watch and join the conversation. Forever 1999 is officially out on March 31, and you can see Prozzäk's upcoming live dates over here. You can also pre-order the album here.